I love to spend late nights in my kitchen after my husband and kids are in bed. But, I'm a night owl. No early morning fun for this gal. I just don't function well. I seem to get a second wind late at night and my mind wanders with baking, craft, and project ideas. These were a fun late night creation this week that I made for my sister's birthday. We had a small gathering to celebrate and I wanted something fun for the kids. Aren't they cute?? They would also be a great treat for your upcoming classroom Halloween parties. These are so cute! 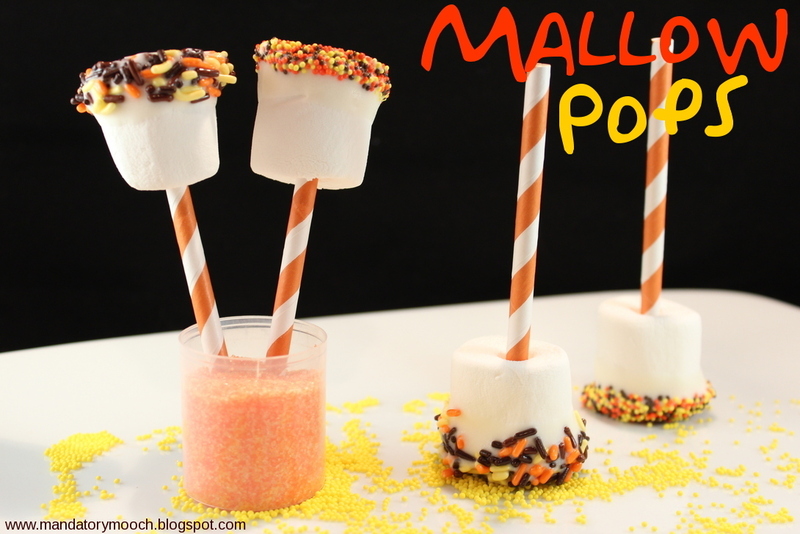 Perfect for a Halloween party!! Thanks so much for linking up to Mom's Test Meal Mondays!! Great little treat for the big Spook night. Have a fabulous weekend and thank you so much for sharing with Full Plate Thursday.